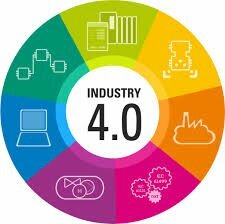 f this World, the Industry 4.0. This mustn’t be news to you since the concept was brought to us by the German government in 2013, and almost every company is developing automatic devices, trying their best to be a part of Industry 4.0. Among all these different kinds of devices, Lidar plays an indispensable role. it could be seen on many devices, usually seen on the AGV, the monitor system devices in your producing line and warehouses, and even Robot Vacuum in your daily life. This reduces a significant amount of time and cost for all of us, not to mention the influence to the whole industry and us human beings. that measures the distance to a target by illuminating the target with a pulsed laser light and measuring the reflected pulses with a sensor. 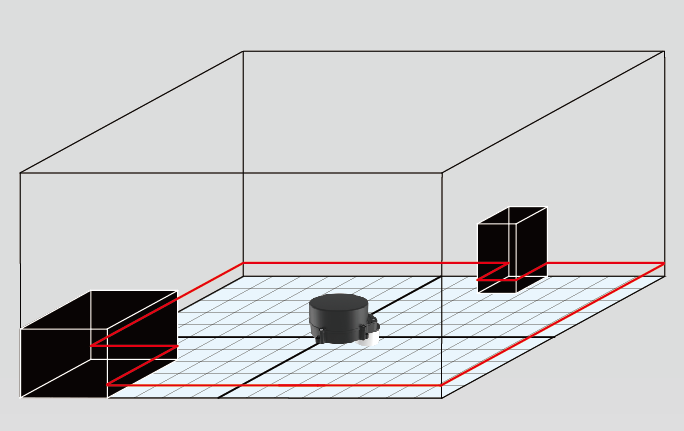 Differences in laser return times and wavelengths can then be used to make digital 2D or 3D representations of the target. There are a wide variety of applications for lidar, including Agriculture, Problem statement, Algorithm overview, Pre-processing, Feature extraction, Reflectance features and so on, but one of the most important application is SLAM (Simultaneous localization and mapping). This is used on most of the automatic devices, such as AGV, UAV, and even robot Vacuum. It’s very common to find these devices attached to Lidar. Take PRECASTER CA113 2D Scanner for example. This is a 2D lidar manufactured in Taiwan. 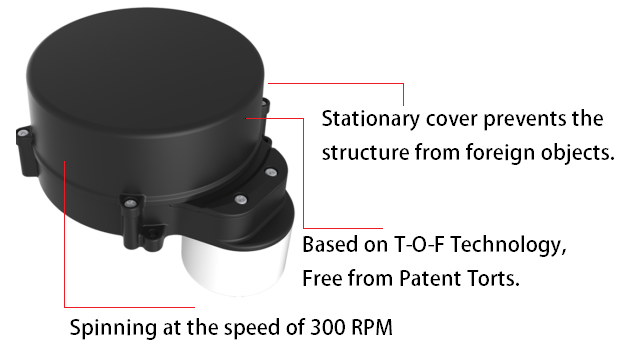 Based on T-O-F (Time of flight) technology, the sensor is able to tell distance from 360 degrees by calculating the time of the light flying from the Laser diode, hitting target and bouncing back to the sensor. Deformation won’t affect the accuracy. Even if we try, we could never ignore the convenience that a lidar could bring us, we all know a clock could never work without gears. Lidar is like one of the most important ones among all gears, it matters even greater than the whole industry 4.0 thing.